DEINSTITUTIONALIZED LLC, in association with LANY Entertainment and END OF THE ROSE LLC, is excited to announce the lead cast for the new, limited digital series, FraXtur. Co-created and directed by Emmy winning producer Christopher Douglas-Olen Ray (CIRCUS KANE), FraXtur stars a diverse and notable cast including: Brittany Curran (The Magicians), Denise Richards (Starship Troopers), Karl Yune (“Arrow”), Leon Thomas III (Insecure), Max Adler (“The Flash”), Camille Winbush (“The Bernie Mac Show”), multiple Emmy winner Kristos Andrews, Cody Saintgnue (“Teen Wolf”), Emmy winner Eric Nelsen, Ciara Hanna, Chasty Ballesteros and Sinjin Rosa. All of these cast members come together in one of this year’s most exciting, upcoming post-apocalyptic television shows. 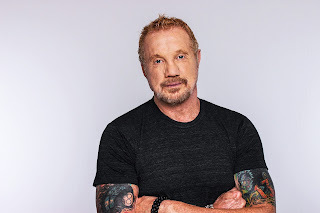 As well, WWE superstar Dallas Page (The Devil’s Rejects), Alma Award winner Maria Conchita Alonso (The Running Man) and Emmy winner Jade Harlow (“The Bay”) will guest star across multiple episodes. FraXtur chronicles a ragtag, millennial, breakfast club thrust into a post apocalyptic wasteland. The characters quickly realize that their lack of food, shelter and water are not their only challenges - when tribal clans and unimaginable monsters threaten their very existence! The series was co-created and written by Zack Ward. As well, the series was co-produced by Telly Award winning, DeInstitutionalized LLC partners Gerald Webb and Christopher Ray - along with multiple Emmy winner Gregori J. Martin. Principal photography was just completed in Los Angeles reuniting Ray with cinematographer Alexander Yellen (“Z-Nation”).